Mega Sale! 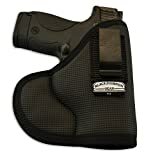 Up to 24% off on Gun Holsters at Freedom from Government, Page 2. Top brands include Pro-Tech Outdoors, Black Scorpion Outdoor Gear, Pro-Tech Gripper, Outdoor Sport, Intimidator Belt and Clip Holster, Outdoor Connection, Safariland, & ClipDraw. Hurry! Limited time offers. Offers valid only while supplies last. 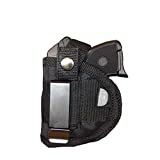 Pro-Tech Outdoors Nylon Belt or Clip Gun Holster For Taurus PT-709 Slim and Taurus PT-740 Slim with Laser. 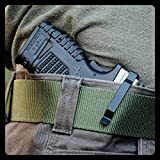 This Gun Holster Fits Large and Medium Frame Auto with Lazer Attached For Ruger, Smith and Wesson,Springfield Armory,Beretta,Glock,H&K,Sig Sauer, Taurus, Walther and more. 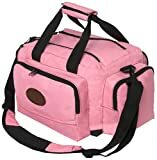 View more products in Gun Holsters, Cases & Bags.